Cel-Shaded Jeans for Borderlands Cosplay « Adafruit Industries – Makers, hackers, artists, designers and engineers! 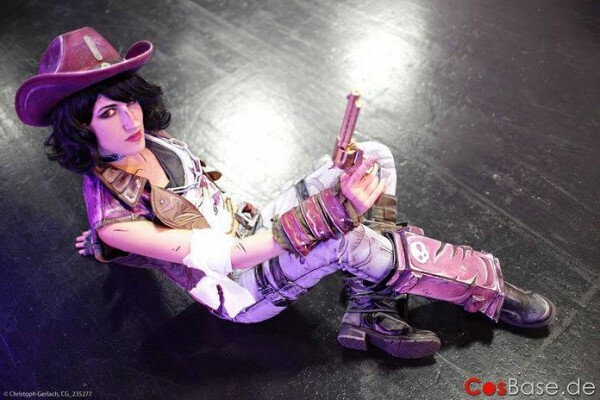 Cosplayer Kirameku recently put together a Nisha the Lawbringer from Borderlands costume, and she used a neat technique to get the right cel-shaded look for the jeans. Denim jeans were used for the base, and Kirameku painted over the denim with water and Textilcolor paints. She carefully and slowly built up layers with the paint and then added highlights and shadows to achieve the stylized look. They appear as though they’re straight out of the video game.